In these modern times we must all make an effort to reduce our energy consumption while making sure we are using environmentally responsible, sustainable resources. Using metal roofing is one of the ways we can achieve this goal but the best part is, it can save us money in the process. 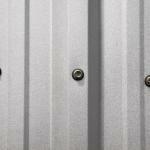 Many advances have been made in recent years in the field of metal roofing material. 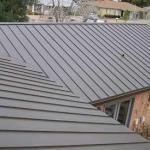 Metal roofs are now recognized as one of the premier materials for cool roofing. Cool roofs provide the advantage of reducing the home’s energy consumption and lowers cooling loads during peak consumption hours. Metal roofs that are lightly colored and more reflective can reduce cooling energy costs by up to 40%. Many metal roofing materials are now coated with an extra-reflective surface so that most colors of your roof can have these energy saving qualities. Available in many colors and textures there is a metal roof that can suit any type of house, from brand new to newly restored, and provide the added peace of mind of being non-combustible and resistant to high winds. Since metal roofs absorb much less heat than other roofing materials there is less impact on the urban air temperature, making a metal roof better for all who live around you by keeping temperatures down. The reduction in air temperature also helps to improve air quality since less smog is formed and less fossil fuels are used to cool the home. Cool metal roofing is the sustainable choice for those who are concerned about human population’s effect on our environment. Metal roofs are extremely weather resistant and will last up to 50 years or more, and contain 25% or more recycled content. Metal roofing materials that are no longer useable are 100% recyclable, so there is no need to worry about clogging up landfills when you replace your roof. 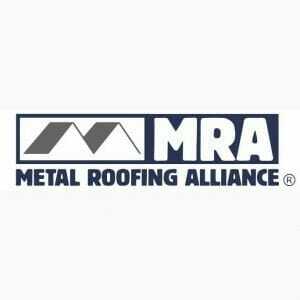 And in the spirit of not filling up landfills, since metal roofing weighs much less than conventional shingles, you can install a metal roof right on top of your old roof without adding much load to the structure or you can remove your previous roof and improve the static and dynamic load on your home. Metal roofs do not support growths of moss or lichens, and do not deteriorate over time like asphalt shingles. 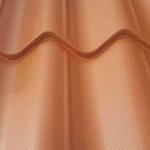 Your roof will remain looking beautiful as ever, even 20 or 30 years after it is installed. Inside your home you will find that in the height of summer the air is much cooler that when you had heat absorbing shingles. You are also making a conscious decision to use materials that are environmentally friendly and recyclable, and improving the air quality around your home. 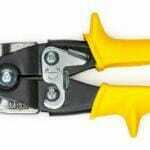 With all these advantages it is no surprise that metal roofing is becoming so popular with homeowners and contractors.